The Department is proud to announce that Professor James Arthur has been awarded the 2017 AMS Leroy P. Steele Prize for Lifetime Achievement. 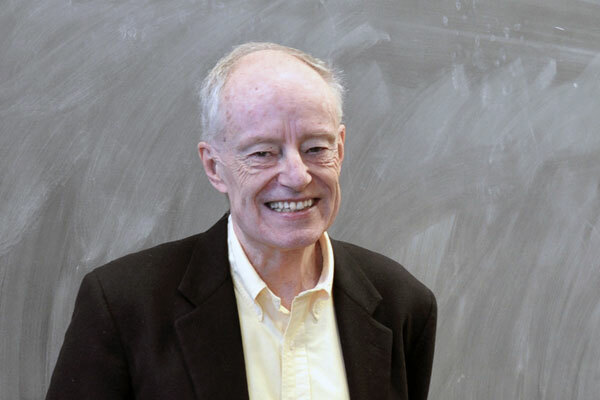 Providence, RI—James Grieg Arthur will receive the 2017 AMS Leroy P. Steele Prize for Lifetime Achievement “for his fundamental contributions to number theory and harmonic analysis, and in particular for his proof of the Arthur-Selberg trace formula.” Arthur is a University Professor and holds the Ted Mossman Chair in Mathematics at the University of Toronto. This work fits into a larger effort known as the Langlands Program, which Arthur’s doctoral advisor, Robert P. Langlands, inaugurated in the late 1960s and expanded in the 1970s. The Langlands Program posits a series of deep and far-reaching connections among several parts of mathematics that seem, at first glance, to be unrelated. The program has inspired an enormous amount of mathematical research, in which James G. Arthur has been one of the central figures. His work has had and will continue to have an enormous impact on several branches of mathematics. Today, at the age of 72, Arthur continues to produce research at the highest level. Because his area of research is often considered to be among the most technically forbidding in mathematics, Arthur has worked hard to make the area more accessible by producing high-quality expository works, which have in turn stimulated more interest and new work. An example is his article “Harmonic Analysis and Group Representations,” which appeared in the January 2000 issue of the Notices of the AMS. Arthur has a strong commitment to education. This can be seen, for example, in remarks he presented as AMS president, on the occasion of the awarding of the 2005 Abel Prize to mathematician Peter D. Lax. In his remarks, Arthur noted the stimulation such prizes provide to research at the highest levels. The prize “is of enormous benefit for other reasons as well,” he said. “The effective teaching of mathematics is essential for the future well-being of society. Talented students need to be encouraged to pursue the subject. It is equally important that young men and women see the teaching of mathematics as an honourable calling. Public recognition [of Abel Laureates] resonates the world over [and] becomes a source of pride and inspiration for students and teachers alike.” The full text of his remarks appeared in the August 2005 issue of the Notices of the AMS. Arthur’s dedication to cultivating and supporting scholarship and research has led to his appointment to several senior administrative roles internationally. He was a member of the Executive Committee of the International Mathematics Union (1991-1998) and the Academic Trustee for Mathematics on the Board of Trustees of the Institute for Advanced Study (1997-2007). He also served as president of the AMS from 2005-2007. One of his lasting legacies as AMS president is the establishment of the AMS Einstein Public Lecture in Mathematics, delivered annually by an outstanding mathematician with a flair for communicating with the general public. A photograph of Arthur is available upon request to paoffice@ams.org.